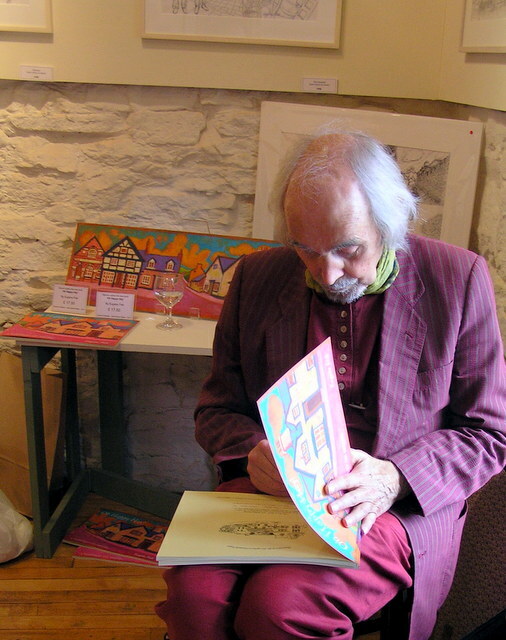 A unique new book has been recently published and launched in Hay-on-Wye. 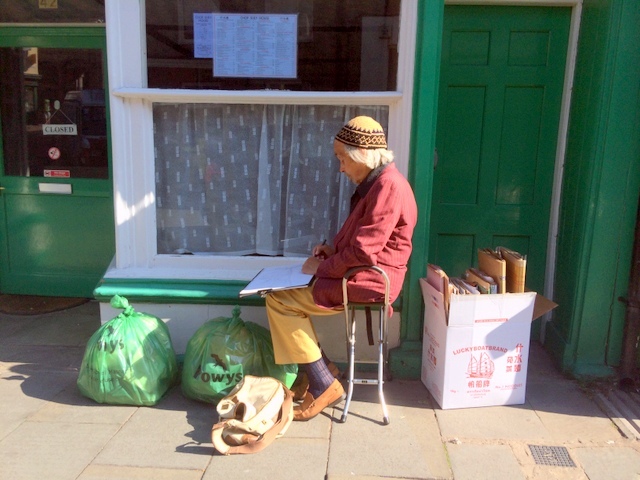 The book contains over 40 original drawings by Hay resident, artist Eugene Fisk, who has been been creating a series of beautifully observed studies of Hay over the last 12 months. Some of the originals can be seen framed and presented in the current exhibition (extended until September 21st) at Pottery in Hay along with signed copies of the book. Oh Happy Hay! text and original illustrations by Eugene Fisk, designed by Kate Milsom and printed locally at Orphan’s Press. Extract from a chapter entitled ‘Reading’ in O Happy Hay!